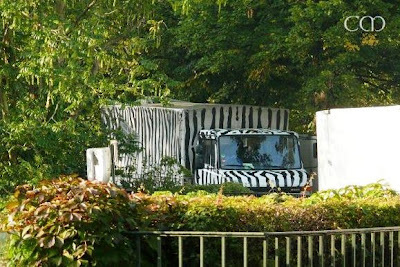 It was a short visit for Troll in Zoo Berlin with the three ladies Tosca, Nancy and Katjuscha. He would have liked to stay longer with them, but obviously the three ladies felt disturbed.They were restless and nervous, the days before Troll's departure they were kept apart from him and not any more displayed together in the enclosure. 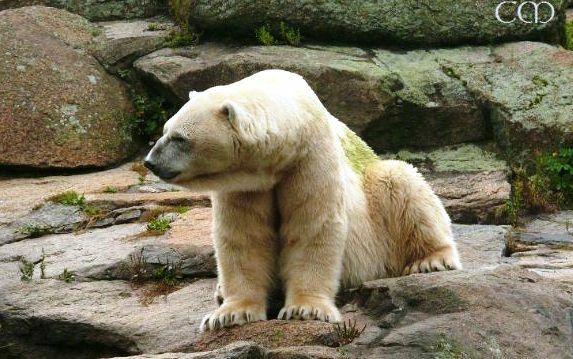 Es ist aus Sicht der Eisbärenhaltung in Zoo und Tierpark Berlin ein sehr bedauerlicher Vorgang. Am Montag wurde der männliche Eisbär Troll wieder in den Tierpark gebracht. Nicht etwa weil die Verantwortlichen des Zoos Berlin zu der Erkenntnis gekommen waren, dass die Zusammenführung des Eisbären mit den drei Weibchen gescheitert war, sondern weil öffentlicher Druck dies veranlasst hat – eine unheilige Allianz von Zoobesuchern, die mit viel Herz aber zuwenig Sachkenntnis täglich die Situation auf der Eisbärenanlage beobachten, Tierrechtlern, die gegen jegliche Wildtierhaltung opponieren, der Boulevardpresse, die sich gerne von beiden Seiten informieren lässt, und einem Amtstierarzt, der anstatt sich an Ort an Stelle durch eine sachgemäße Beobachtung ein eigenes Bild von der Sachlage gemacht hat, dazu hätte er nämlich mehr Zeit benötigt, sondern anscheinend aufgrund von Bildern und Videos zu einer Entscheidung gelangt ist . According to the polar bear keepers at the Berlin Zoo and at Tierpark Berlin, it is a deplorable process. 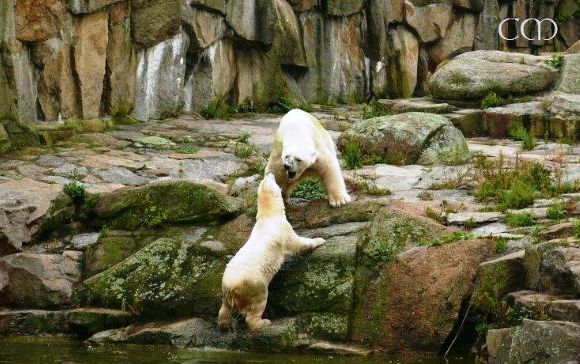 On Monday, the male polar bear Troll was returned to the Tierpark. 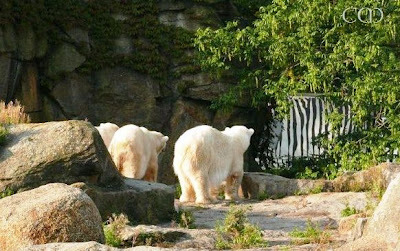 It was not because the Berlin Zoo had concluded that the combination of him and the three females had failed, but because of public pressure: an unholy alliance of zoo visitors, people who think with their hearts and lacked knowedge of the situation observed in the polar bear enclosure, animal rights activists who oppose captivity for any wild animal, the tabloid press who were happy to inform on both sides of the issue, and a veterinary official, who instead of being on sciene to monitor the situation personally, said he needed more time. Apparently he made his decision based on pictures and videos.